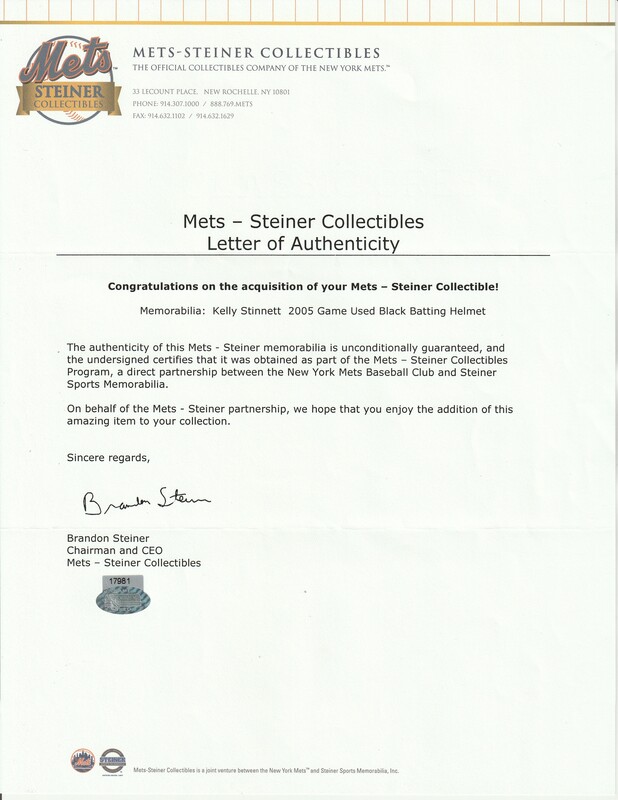 Offered here is a collection of four game used New York Mets batting helmets. The first helmet is a black right-handed batting helmet worn by Kelly Stinnett. Stinnett has signed the brim of this batting helmet in silver marker. 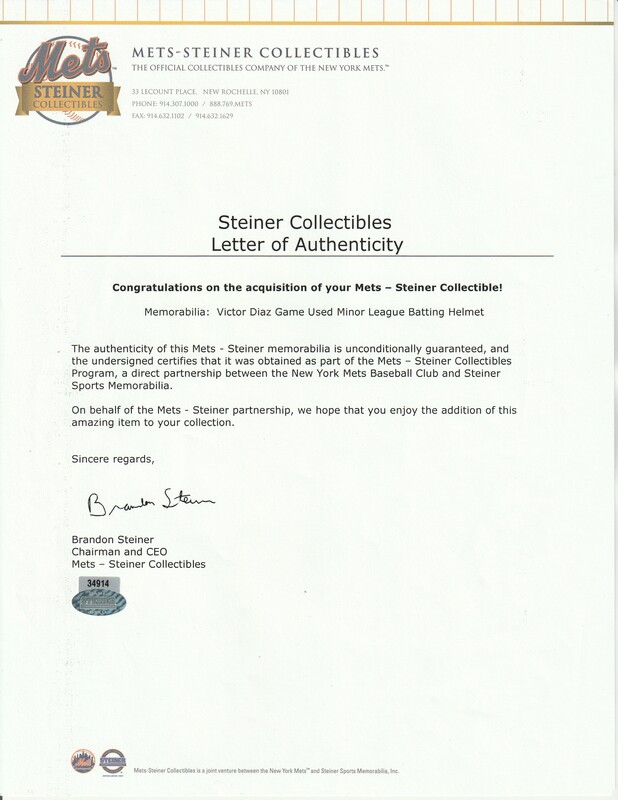 The helmet comes with a Steiner Sports game used hologram (17981) and a COA from Beckett Authentication Services (F63987). The second helmet is a blue right-handed number worn by Victor Zambrano in 2005. This blue helmet has an orange Mets logo applied to the front, and “Zambrano” applied to both the bill and the back of the helmet. A MLB logo is applied to the back of the helmet. 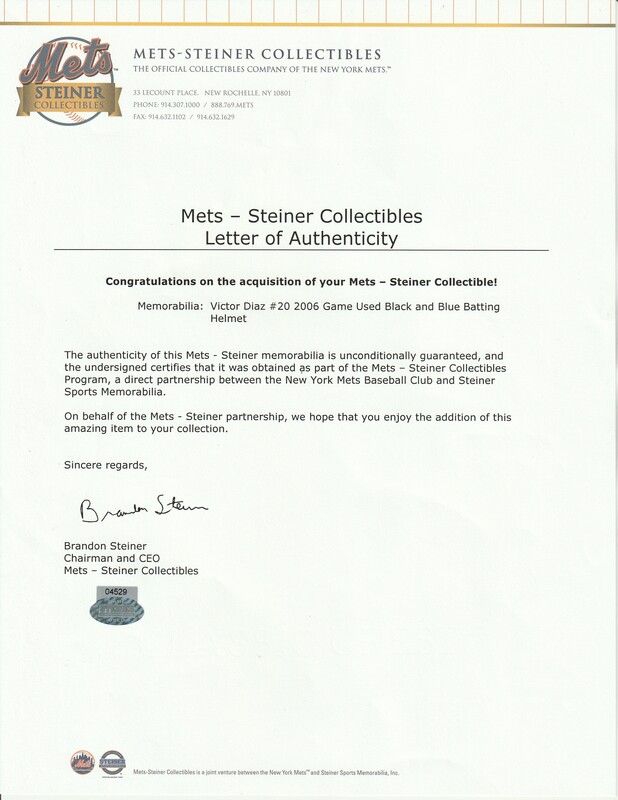 This item comes with a LOA from Mets-Steiner Collectibles (04530). The third helmet is black and made by Schutt. It was worn by Victor Diaz. Flaps are present over both ears, and the interior padding is more plentiful than on a standard batting helmet. Three grommets are present on each ear flap. This helmet comes with a Steiner Sports game used hologram (34914). The final helmet is black, identified by the name “Fort” applied to the brim and the back. The helmet has a flap over the right ear. 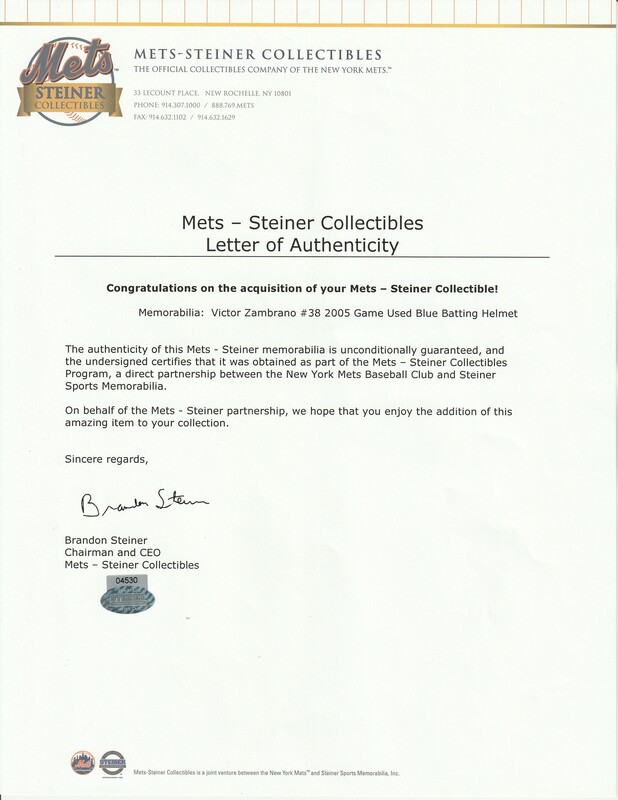 Two Steiner Sports holograms are present, one with a game used number (03449).